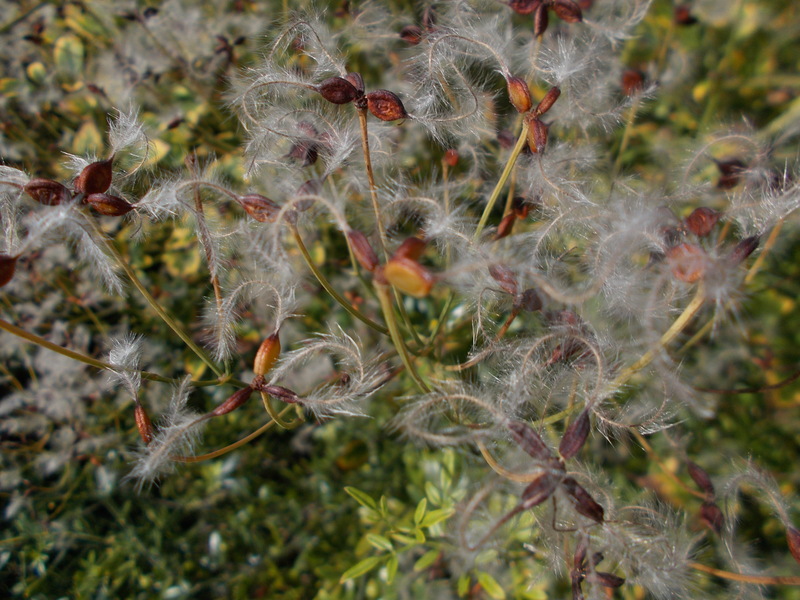 The seed pods of Clematis terniflora have split open and are releasing their seed. 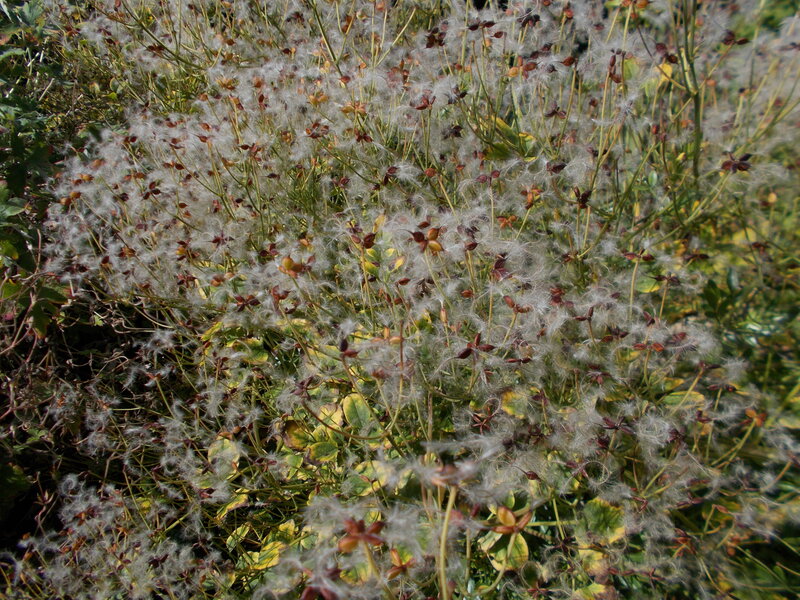 The plumose styles appear as a mass of white feathers covering the tangled growth. A horticultural delight when the bright autumn sunlight flows through the plant. Native to China and Japan growing at forest margins and through rocks in coastal regions. Sea level to 800 metres. At RBGE, tucked away in the alpine growing area where it spills over raised terraces.